Can I use Medi-Share, sharing ministries with a QSEHRA? It's a question we get a lot from users of our QSEHRA service. The official answer: "Ask your accountant." However, while we can't give tax advice, what we can do is help you look at the law and provide the information necessary for you to have a productive conversation with your CPA or lawyer. October 2018 Update: The IRS has still not provided clear guidance on how sharing ministries work with QSEHRA. However, we now suggest sharing ministries be reimbursed outside of QSEHRA or be combined with an individual MEC plan. For more information, please see the Premiums Section of our QSEHRA Reimbursement Guide. For Take Command Health clients, we've updated how we handle sharing ministries on our platform to separate them out from QSEHRA reimbursements. You can learn more about these changes in this help article. Please Note: Take Command Health is NOT a licensed certified public accountant (CPA) or qualified to give tax advice. We share this information for educational purposes only. Let's start with the law. The 21st Century Cures Act created the Qualified Small Entity Health Reimbursement Arrangement (QSEHRA) by modifying the Internal Revenue Code (IRC) and the Affordable Care Act (ACA) to add provisions for small employers. Here's a copy of the 21st Century Cures Act with the language that pertains to QSEHRAs (there were a lot of other things in the bill too). Full bill. (iii)the amount of payments and reimbursements described in clause (ii) for any year do not exceed $4,950 ($10,000 in the case of an arrangement that also provides for payments or reimbursements for family members of the employee). So, "proof of coverage" of what? Later in the law, when describing how a QSEHRA must be communicated to employees in order to maintain compliance, the law specifies information in section D.4.B that must be included in that notice and says "minimum essential coverage" (MEC). (i) A statement of the amount which would be such eligible employee’s permitted benefit under the arrangement for the year. (ii) A statement that the eligible employee should provide the information described in clause (i) to any health insurance exchange to which the employee applies for advance payment of the premium assistance tax credit. (iii) A statement that if the employee is not covered under minimum essential coverage for any month the employee may be subject to tax under section 5000A for such month and reimbursements under the arrangement may be includible in gross income. Alright, so it looks like you need Minimum Essential Coverage or MEC, but what is that? What is Minimum Essential Coverage for QSEHRA? An applicable individual shall for each month beginning after 2013 ensure that the individual, and any dependent of the individual who is an applicable individual, is covered under minimum essential coverage for such month. (vii)the Nonappropriated Fund Health Benefits Program of the Department of Defense, established under section 349 of the National Defense Authorization Act for Fiscal Year 1995 (Public Law 103–337; 10 U.S.C. 1587 note). Hmm...wait, where does it say anything about "sharing ministries"? I thought those were exempt from ACA individual mandate requirements? The term “applicable individual” means, with respect to any month, an individual other than an individual described in paragraph (2), (3), or (4). (ii)an adherent of established tenets or teachings of such sect or division as described in such section. Such term shall not include any individual for any month if such individual is a member of a health care sharing ministry for the month. We are not experts at tax law or understanding IRS language. However reading the law, it's clear that to receive tax-free benefits from a QSEHRA, that you must show "proof of coverage." That coverage is later described as "minimum essential coverage" or MEC. Although it's unlikely you could make an argument that sharing ministries like Medi-Share and others are MEC, you could make an argument that as a member of a sharing ministry you are exempt from having to have MEC in the first place. Does that exemption carry through to QSEHRA? We don't know! Hopefully the IRS will provide guidance or clear direction soon. 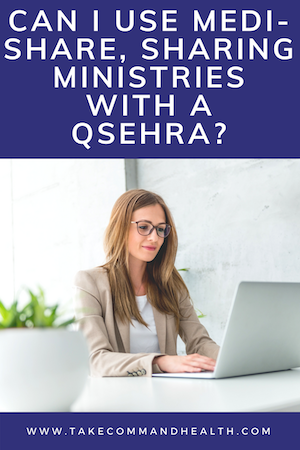 In the meantime, please make sure you talk to your tax professional or accountant if you or your employees are interested in using a sharing ministry under a QSEHRA. Currently, we allow business owners and administrators of Take Command Health's QSEHRA platform to decide how to handle Medi-Share and other sharing ministries. If the IRS provides additional guidance, we'll be sure to update it here and with our members. Hungry for more? Check out the FAQ section in our handy new QSEHRA Guide! Again, we are NOT TAX EXPERTS. Please do not use this post as advice or information. 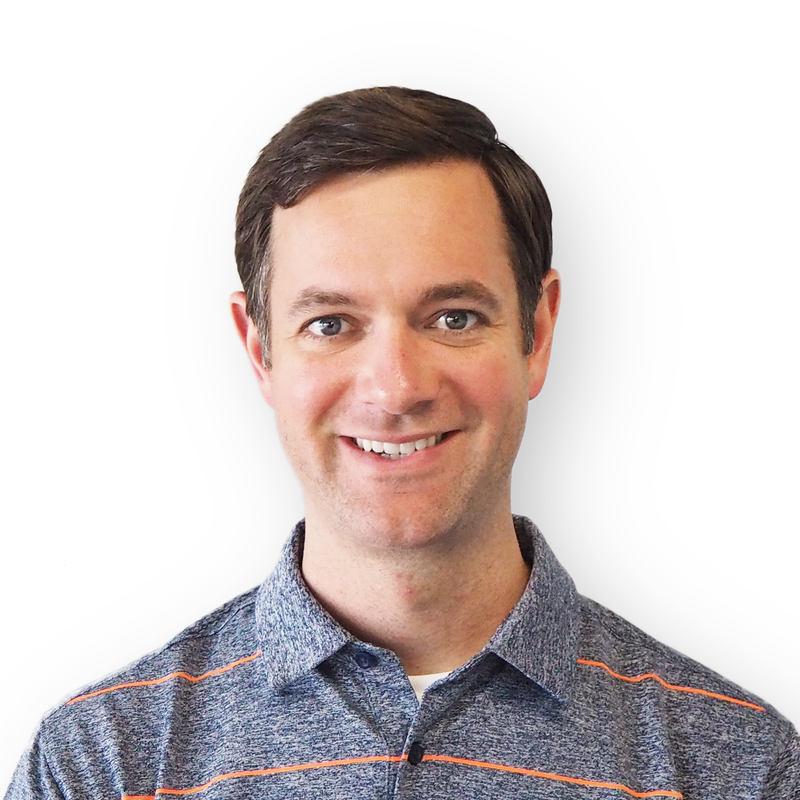 There may be other sections of the law that apply you should discuss with your CPA.